Further to my self imposed beauty buying ban it was time to delve into my make up drawers and finally use some of the past years purchases, one of which was this gorgeous eyeshadow palette from Wet n Wilds Fergie collection. I picked this palette up from a drugstore in Las Vegas last October and I'm kicking myself for not having played with it sooner as I love it, despite what could be some quite scary orange shades. 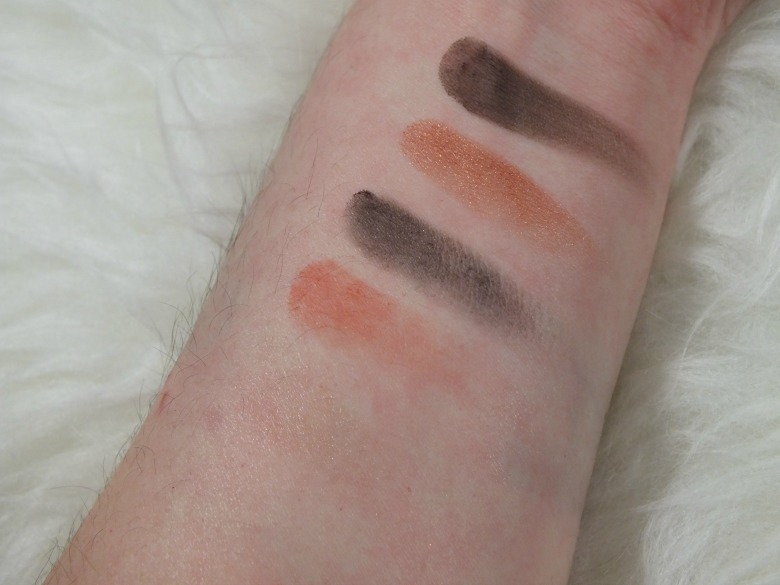 Wet n Wild eyeshadows receive a big thumbs up from beauty bloggers in the US and it's one of the number one purchases for us Brits when visiting the states and having used these colours I'll certainly be adding more to my collection when I'm there next month. Anyway back to Desert Festival and I'll be describing the colours as swatched bottom to top - just to make things complicated. First of all we have the most disappointing shade of the bunch, a champagne/taupe colour which is the least pigmented of the bunch. This can be used as a highlight or as I do sweep all across the lid as a base colour. 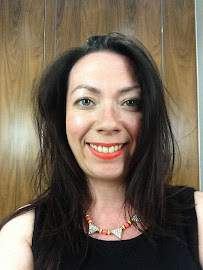 Next is the bright matte orange possibility the scariest of colours but for some reason I love orange eyeshadow (Mac's Orange eyeshadow was the first I brought). Obviously feeling brave from watching so many YouTube tutorials I took my Real Techniques duo-fiber eye brush and used this in my crease. Then I would pick up my Mac 239 brush an use the shimmery peach on the inner half of my lid and the shimmery brown on the outer half, pick up my Mac 217 and blend away. I expected the shimmery peach to be nicer than it is but it does take some building up to take effect. I imagine the shimmery peach would look nice as a subtle all over lid colour if you wanted a more natural look. Finally I would take my Mac 266 and use the matt brown as a liner to define the look. I have tried to take some photos of myself with the shadows on but it's something I need more practice with to do them justice so please bear with me. 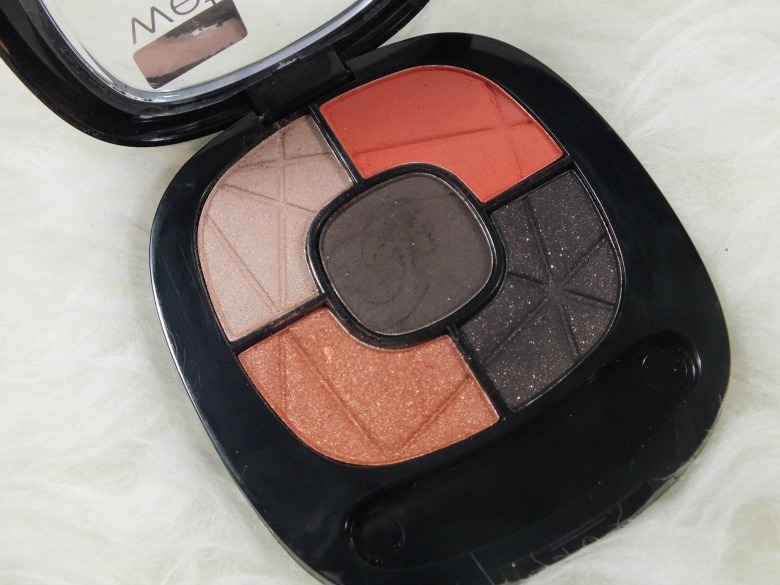 This is a great little palette which has some gorgeous colours to play with and surprisingly wearable on a day to day basis. All have great pigmentation, minimal fall out and I was surprised that even without a specific primer and just Mac Painterly paint pot as a base they lasted all day - which is a rare occurrence for me. I will certainly be picking up some more from Fergie's range when I visit Walgreens next. What are you thoughts, are you brave enough to wear orange eyeshadow? I'm going to Vegas myself in August for my 21st! I can't wait for all the make-up I'm going to buy, that we aren't able to get over here!